We reach the end of our community reading of the letter of 1 John. Each week we’ve wrestled with the principal idea of the pastoral advice: “Let us love because God first loved us.” While it can seem trite and repetitive, the message while easy to understand is quite difficult to live. The author writes to the Church of the day which is facing a divisive and destructive dispute over orthodoxy (right-belief) and orthopraxy (right doing). It’s most likely related to docetism: the ancient belief, common in Greco-Roman culture, in the superiority of everything that is “spiritual” over the “physical”. It most likely lead or contributed to what we now call Adoptionism: the belief that Jesus was human, but that at his baptism he was adopted by God, that the Divine Christ Spirit came down upon him. This spirit remained in him through his life, but left before his crucifixion. While it seems silly, it leads to the conclusion either that the true moment of the revelation and salvation of Christ was in his baptism, when God choose him and he received God’s love; or the belief that this true moment of salvation and revelation was in his physical death on the cross: the ultimate act of love as self-giving. Those two Christological beliefs of the nature and purpose of Christ have profound effects upon how we live and love as Christ did. Modern writer Ann Lamott famously wrote : “You can safely assume you’ve created God in your own image when it turns out that God hates all the same people you do.” The letter of 1 John ends with that same message. Out of nowhere the author rapidly concludes with the phrase: “Little children, keep yourselves from idols.” 1 John 5:21. Idolatry hasn’t been mentioned at all in the book. Yet here at the end of the written pastoral encouragement to a community in division and dispute the reminder is to not make God in your own image. That one can be aware of one’s idolatry – the ultimate sin in the scripture stories, when we put our trust in false gods that we make with our own hands. These idols allow us to justify our actions, legitimize when we don’t want to love, characterize our notions of who is and isn’t part of God’s family. In our troubled times of today we are tempted all too easily to such idolatry: making God in our image choosing for God to love only as we wish to love, or including in God’s family only who we can stand. Rather than loving as the world loves, let us love as God first loves us. 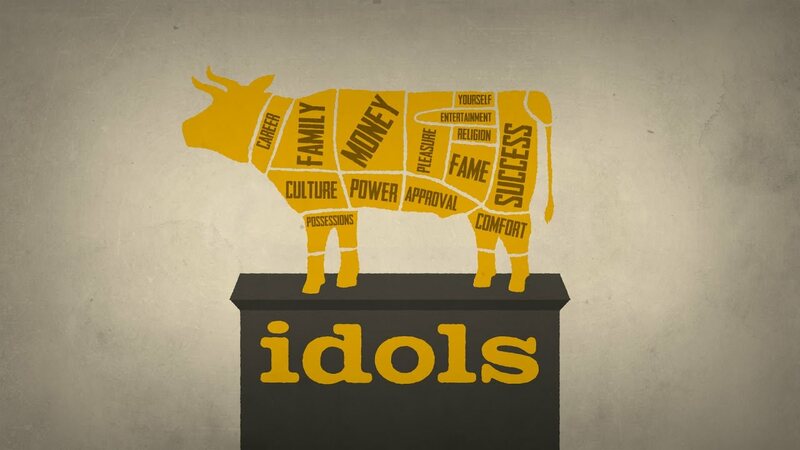 How might you embrace idolatry in terms of love? How does the word of 1 John encourage you? ; or us as a church today in 2019? Download the study text sheet PDF that we’ll use in our Vocabulary of Faith discussion gathering at @CAPCOakland [HERE].